Struggling to choose a refrigerator? Discover top brands & values in our buying guide. Whirlpool introduced the first French door refrigerator in the 1980's but discontinued them. In the 90's, refrigerator options were limited to having either a side-by-side fridge or a top freezer. Now, you have the option of a bottom freezer refrigerator, a French door refrigerator, or a French door double drawer refrigerator. 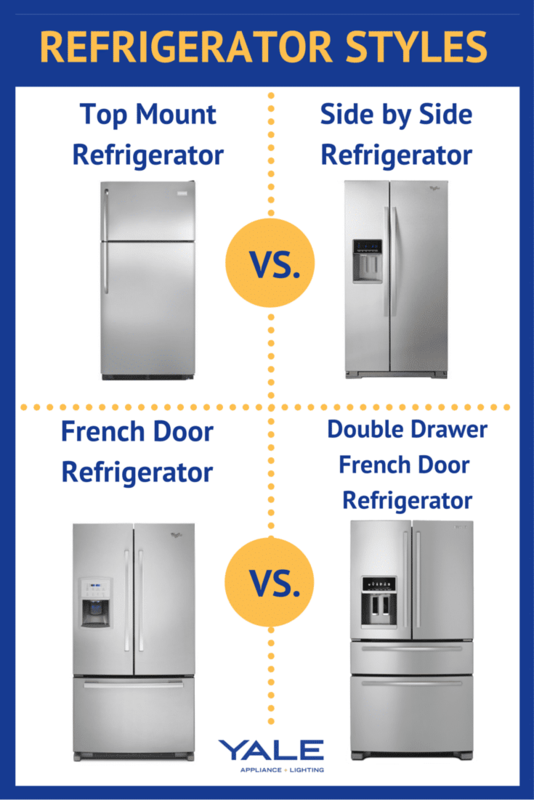 Double drawers are a bit harder to buy than a regular French door refrigerator because the inside and extra drawer differ between manufacturers. It can be confusing. 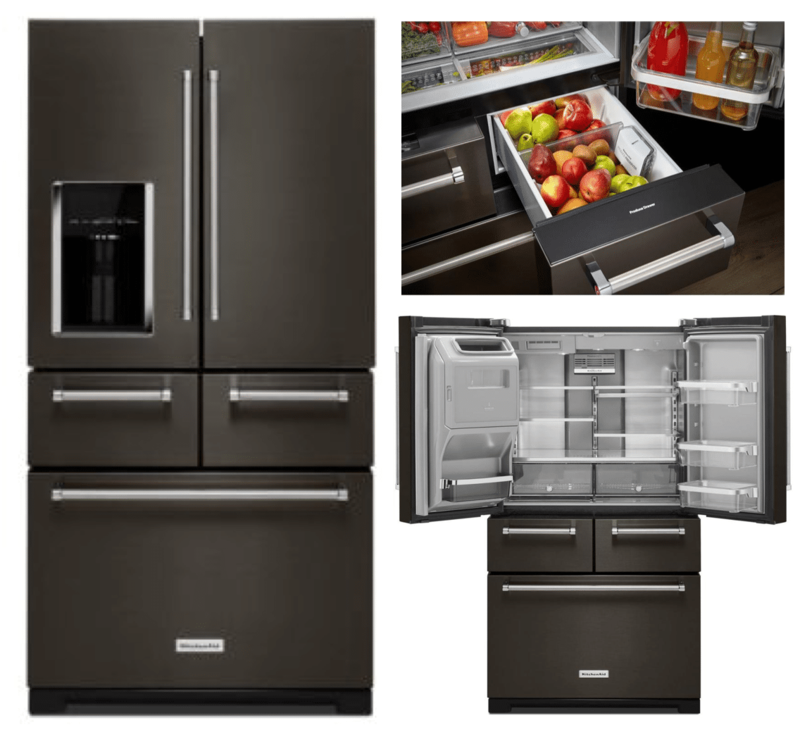 We will look at the four most popular double drawer French door refrigerators and then compare them. But first, let’s talk about the popularity of the French door. 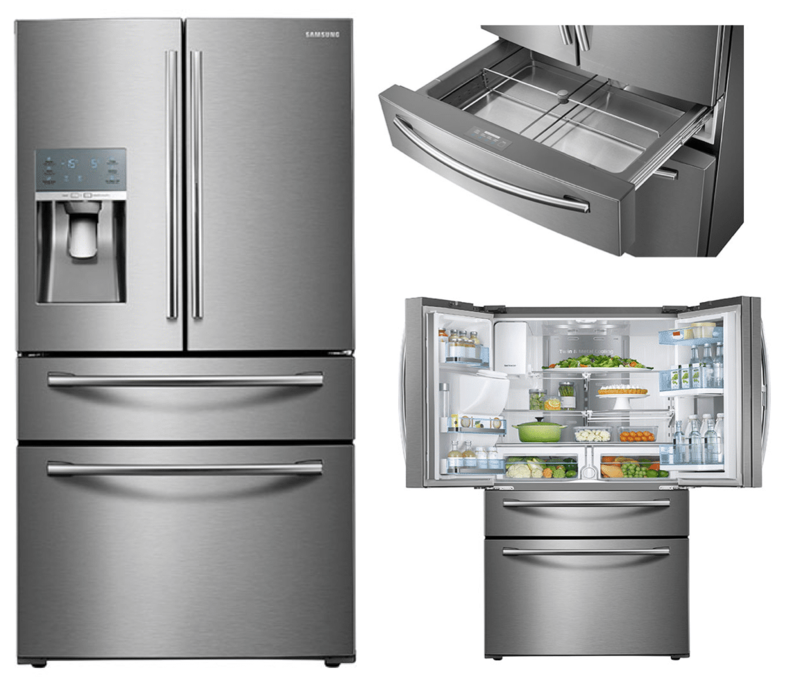 French door refrigerators offer the benefit of easier, waist-high access to refrigerator items. They are easier to open in island kitchens and offer more refrigerator space than a side-by-side refrigerator. Here is our video that talks more about the different styles of refrigerators. A double drawer French door refrigerator has an extra drawer compartment between the fridge and freezer. It can be either a fridge drawer or freezer drawer depending on the brand. Although it is purchased for looks and curb appeal, the double drawer is also convenient with immediate access to certain food items rather than opening the whole refrigerator. For example, the second drawer is great for yogurts and snacks, especially if you have children. 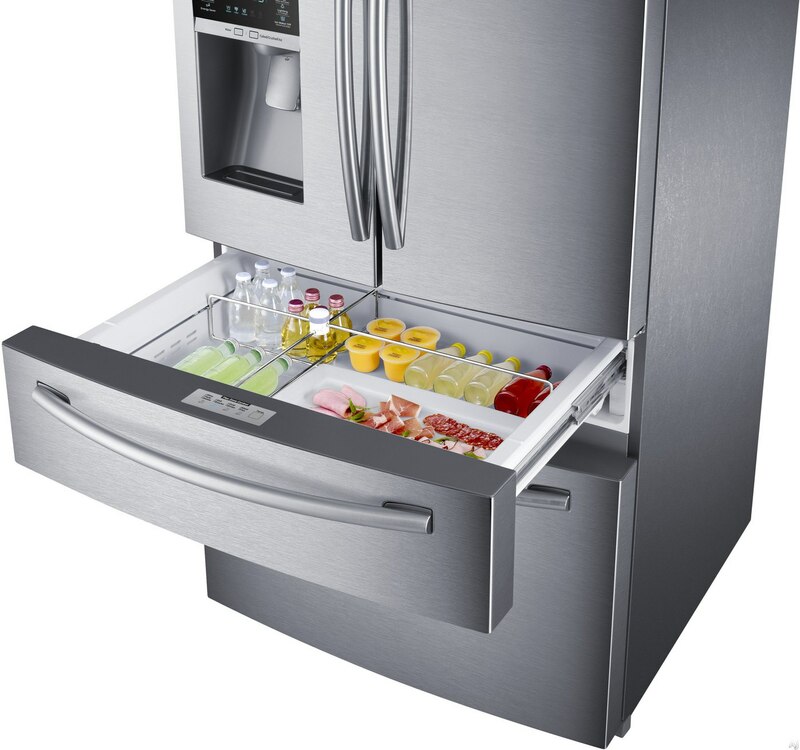 It’s also great for fruit, vegetables, and meats as the drawer is temperature adjustable. For the freezer drawer option, it will better organize ice cream, popsicles, and smaller items. In many ways, they are very similar in terms of overall cubic footage, LED lighting, and shelving. It's very tough determining the best one because the innovation has been copied. With any of these refrigerators, it’s important to measure your space. The double drawer models tend to be some of the largest on the market and require a lot of room. Carefully check the side clearance requirements, as these doors tend to need more space to open fully to access the refrigerator. If your doors are limited to only 90 degrees, it gets pretty tight. Ultimately, it really depends on how you use the refrigerator or freezer. The most convenient part of the refrigerator is the second drawer, so your selection should be whether you store more ice cream in it or yogurt, for example. 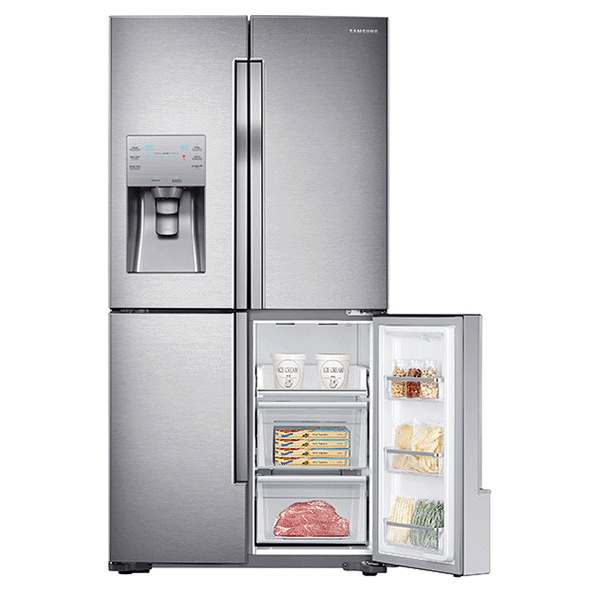 Some models, like the LG, let you choose either fridge or freezer temperatures in the drawer. The refrigerator drawer option may be better overall because most people use more of the refrigerator than the freezer (at least I do). Another feature to consider is where the ice maker is located in dispenser models. Samsung still puts it in the top left corner of the fridge compartment. The other three locate it solely on the door which frees up the entire top shelf. Would you rather give up shelf space or just door storage? 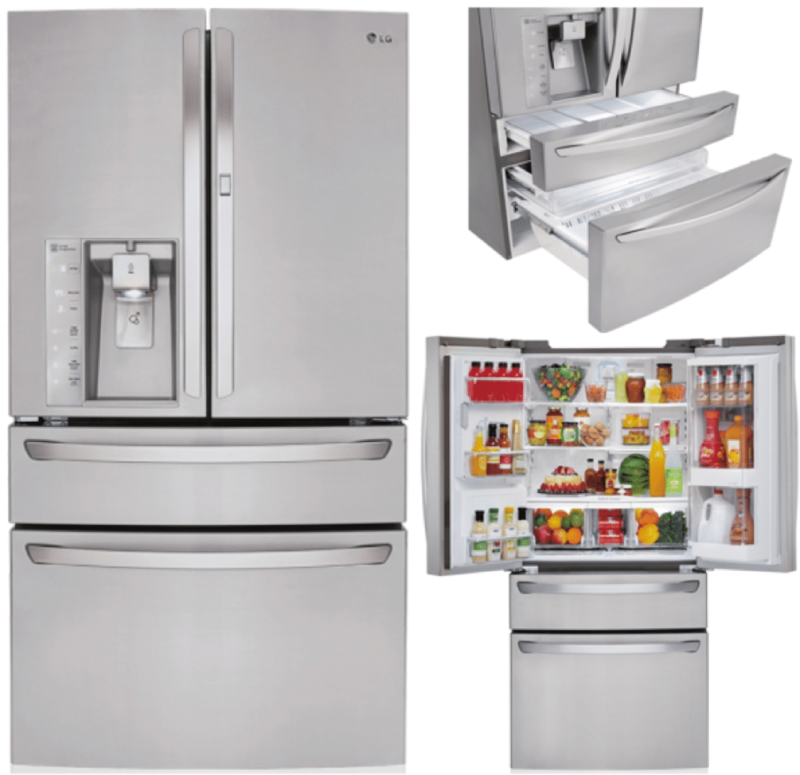 As to which is better; LG is the largest at a massive 30 cubic feet. Jenn-Air is a decent refrigerator with plenty of rebate opportunities. The KitchenAid is the same refrigerator as Jenn-Air because KitchenAid has the same owner as Jenn-Air, so it'll be smarter to buy the less expensive one unless you want the split drawers that the KitchenAid offers. My personal pick? Look at Samsung. They are one of our most reliable brands for service and repair as was LG based on roughly 20,000 service calls. Samsung is far better than LG in terms of service and issues. Between American vs European refrigerators, American brands offer better package opportunities because they have more stove and dishwasher models available. Here is a tip: Always check for pricing around holidays like July 4th, President's Day, Memorial Day, Veteran's Day, and Labor Day. Those are typically the best days to purchase appliances. Double drawers are interesting but there is an even newer trend towards 4 door French door refrigerators. 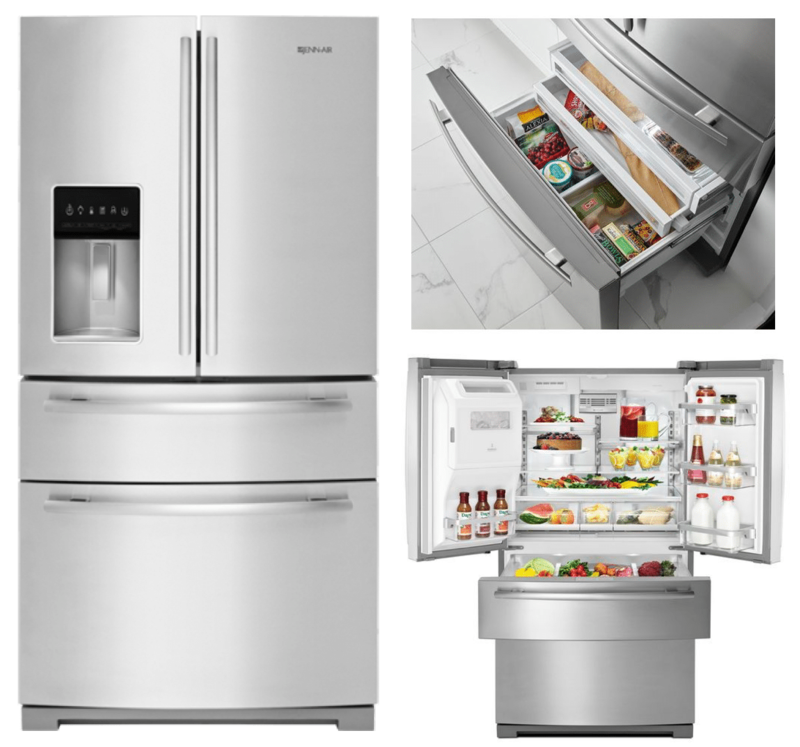 Samsung, in particular, is worth considering because the 4 door is convertible from a refrigerator to a freezer. 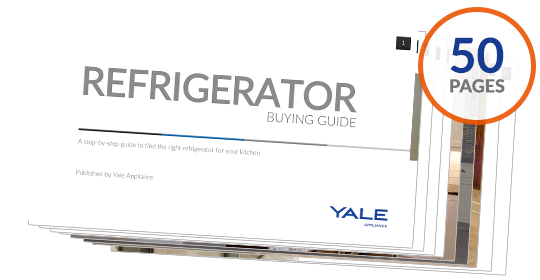 Read the Yale Refrigerator Buying Guide for information about refrigerators including specs and insider buying tips. Over 230,000 people have read a Yale Guide.